"I love making new pillows. I love making Pillow Covers even more. Cause I’m fickle. 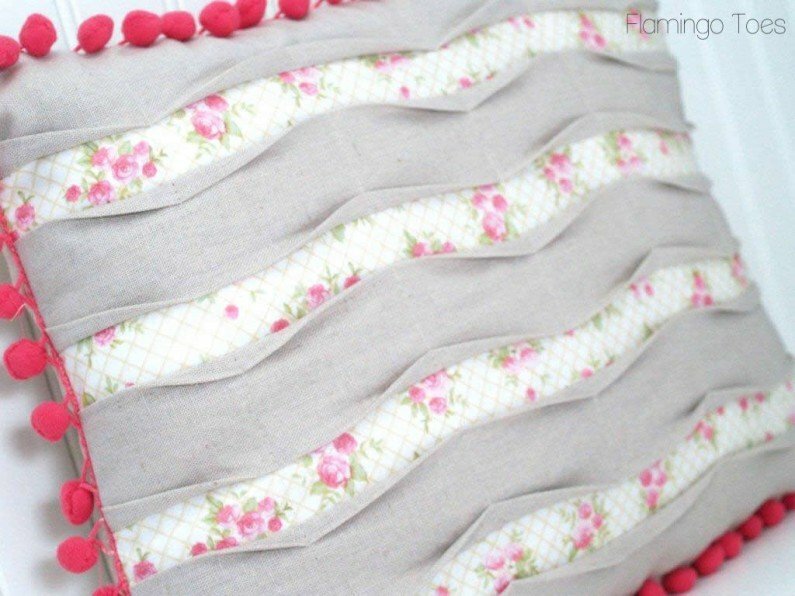 I can make a sweet little pillow cover in whatever style I like, and when I’m tired of it, or want to change it out for something else, I can do it – easy peasy! 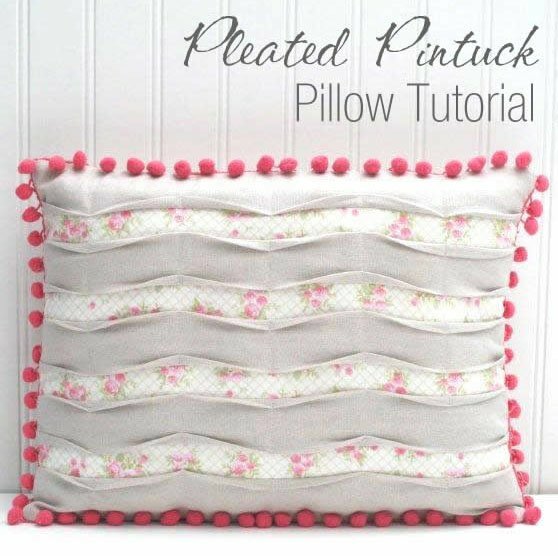 "So I have a new little Pleated Pintuck Pillow (I love alliterations, don’t you?) to brighten up the living room! "Isn’t it sweet? It’s all vintagy and pom pomy. I love it. I think I’m on a pom pom kick right now. They’re so yummy. 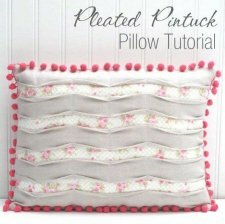 The pleated pin tucks are super fun too – and soooo easy to do!" Be sure to visit Beverly's Tutorials Page, which has tons projects you will love!